Man with a Van In Kings Cross, WC1 Offers Affordable Removal Rates! Looking for affordable rates for removals? You’ve come to the right place because here at Kings Cross Removals we offer you just that! Not only are our rates affordably great but also the services we offer are second to none! Man with a Van in Kings Cross is here to lend a hand, whatever you require! Whether you are looking to move home or office or you just need a little help to move a particularly large item, we can make it happen. Our specially trained team of movers in WC1 district are trained to deliver, we listen to our clients and we do as you require so whether you want us to come and pack up your home, load the removal van and move you to the new address or you just want some help to fetch or move a large sofa or kitchen appliance. Call us today 020 8746 4450 and get a great man and van quote now! Moving can be stressful but that’s where we come in, our aim is to provide a service to customers that reduces that stress. There is no need to worry about a thing when you hire us, we are used to moving houses and offices and we have been doing it for a long time, therefore over the years we have gained valuable knowledge on how to do removals successfully and more importantly hassle free! 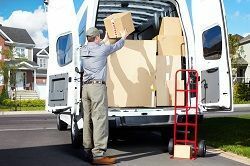 We have trained our removal men in Kings cross to the best of their ability; they will ensure that everything is taken care of including the care of your goods, which is an extremely important part of our moving service. Our man with van service across N1 region are trustworthy, friendly, hardworking and reliable workers and are willing to follow your lead, if your prefer things to be done in a particular way. Not only do our removal man and van move you out, but they also move you in! Yes, we would never leave the site with box loads of goods, expensive items and furniture dumped on a front lawn, or in hall way, we ensure that each and every box is carefully put into its new room, ready for unpacking. To help the removal process go swimmingly according to plan, we have some other useful and helpful services on offer, too. These services include removal packing and storage units, both these services are beneficial in many ways. For instance instead of searching high and low for boxes to pack you could use our packaging instead, not only is it top quality and damage reducing but also it comes with insurance when our packers are hired! This offers the added peace of mind most people want. With the insurance you can be rest assured in knowing that we will take full responsibility for any damages or loss if the inevitable happened, in our care. Our packers are very good though, they pack effectively to reduce all risks and its unlikely accidental damage would happen. Kings Cross Removals offers affordable rates for all, we try to keep prices as low as possible as we appreciate how expensive moving can be. 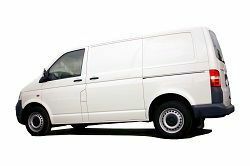 Be careful when seeking to hire the services of removal services as there are plenty of dodge tradesmen around, and you can never be too careful when it comes to trusting others with your precious goods. We are an established business and have built a solid reputation over the years, something we cherish, and therefore we will only employ trustworthy, friendly and hardworking staff at our company. Call us today 020 8746 4450 and let’s get this show on the road, no more sleepless nights and endless worrying, just simple straightforward WC1 man with a van assistance with lots of reassuring advice, that’s us!